Who doesn’t love a cute puppy? And… who can’t get enough of new toys?!? 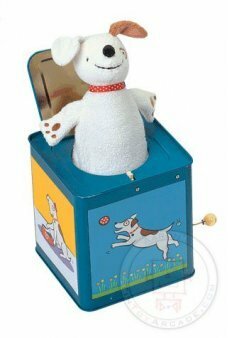 Give the gift of a robot dog toy or dog-themed toy today and watch as the lucky recipient grins from ear to ear. 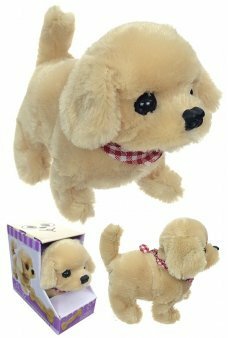 Choose from cute and cuddly toys that will enthrall younger kids or select an age-appropriate robot dog toy to keep older kids entertained for hours. 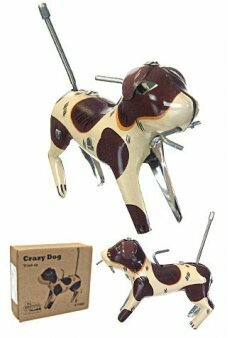 At Tin Toy Arcade, we specialize in scouring the marketplace for incredibly authentic vintage toys, retro designs, and unique and exciting variations on standard kid’s toys. 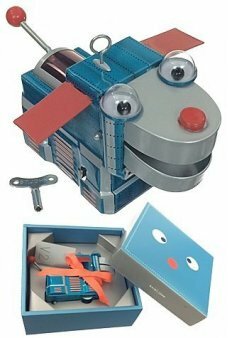 You’ll find toys here that are way cooler than anything you’d ever encounter in a big box toy store, so browse our catalog and find the perfect gift for your kids, a relative, a friend – or even for you! Spense wags her springy tail and spins his entire body! 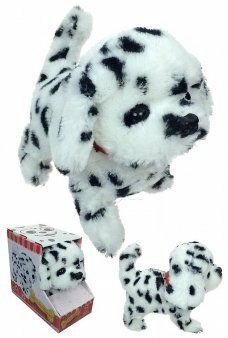 Wind up Spense’s back and he happily spins around while he bites..
Our cute Flipping Puppy, Edison leans down does a back flip with scientific accuracy. 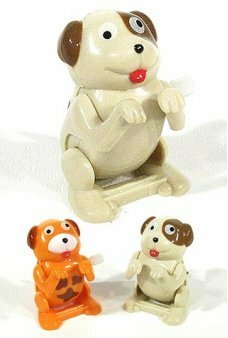 This acrobatic plastic Puppy is a ..
Our cute Flipping Puppy, Einstein leans down does a back flip with scientific accuracy. 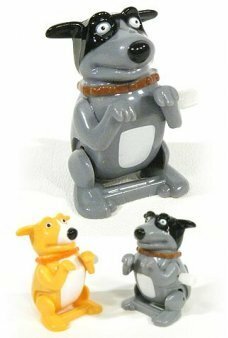 This acrobatic plastic Puppy is ..
Our Special Edition Space Dog Rover comes in a beautiful collector box with a cute face on top. The classic Space Dog wi..
Randi wears green bee hive hairdo while she rides a Big Brown Dog in Australia. 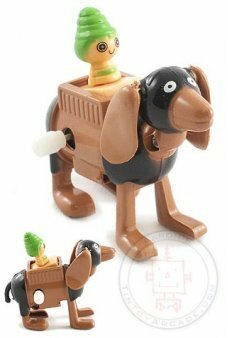 Just wind up the Big Dog and our cute pu.. 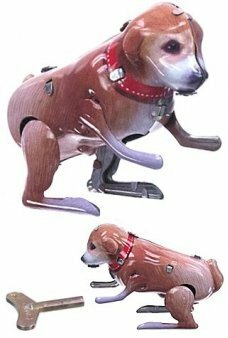 The futuristic Space Dog V2 blue wants to be your mechanical pet! 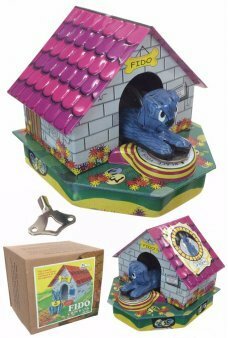 Our turquoise blue Space Dog wiggles and walks, ..
Our adorable Sparky does a Fabulous Flipping trick. This soft puppy walks, barks, heels and then flips a full 360 back f..
How much is that doggy in the window? 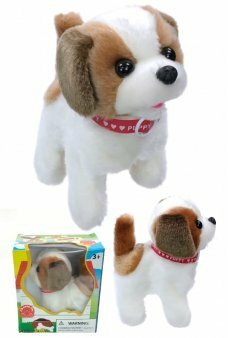 Our adorable Baby Saint Bernard wants to be your playful puppy. 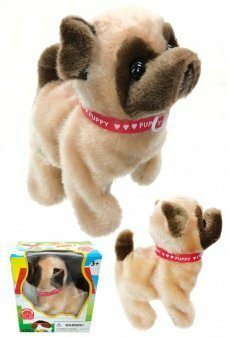 Our soft white and..
Our cute Baby Pug wants to be your mechanical puppy. 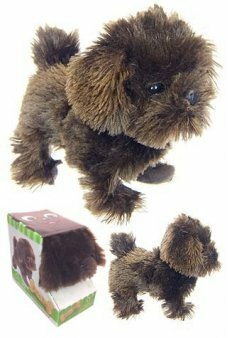 The adorable Pug walks, barks and wags his adorable brown tail! The..
Our cute puppy Baby German Shepard wants to be your mechanical pet. 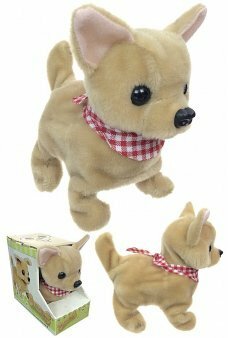 The adorable doggy walks, barks and wags his adorabl..
Our cute Baby Chow Chow Dog wants to be your mechanical pet. 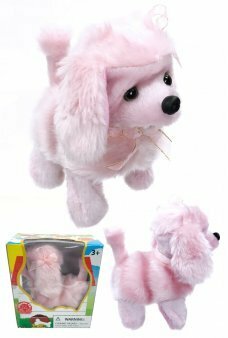 The adorable doggy walks, barks and wags his adorable brown..
Our cute baby Pink Poodle wants to be your mechanical puppy. 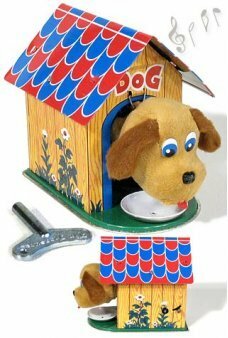 The adorable doggy walks, barks and wags it's adorable pink..
How much is that doggy in the window? 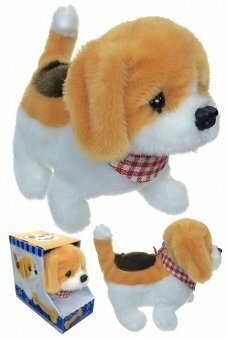 Our adorable St Bernard wants to be your playful puppy. Our soft white and brown ..